Stéphane Peterhansel (FRA) and his wife Andrea (GER) are an unbeatable pair in a rally car, as well as at home. 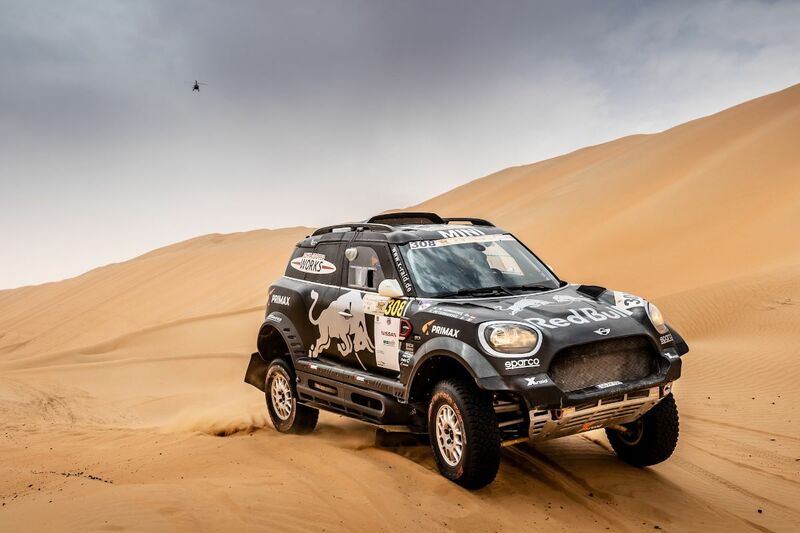 They won the Abu Dhabi Desert Challenge, the second event in the FIA World Cup for Cross Country Rallies, on their first outing together in the MINI John Cooper Works Rally. 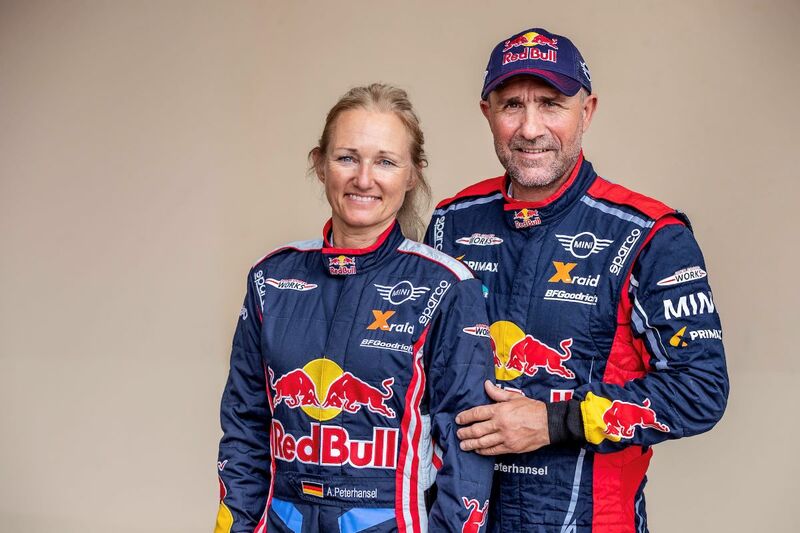 That makes them the first married couple to win an FIA cross-country event in the car category. Fellow MINI driver Cyril Despres (FRA) came home eighth alongside co-driver Dani Oliveras (ESP) in their MINI JCW Buggy. Jakub ‘Kuba’ Przygonski and Timo Gottschalk ended the rally in 18th place. Stephan Schott (GER) and Filipe Palmeiro (POR) finished 11th. This year’s Abu Dhabi Desert Challenge was among the most difficult of recent years: A heavy sandstorm meant the crews had limited visibility on the first two days. To make matters worse, the wind caused the dunes to be so soft that many drivers found themselves stuck in the sand. Despite these tricky conditions, the cars built by X-raid won four of a possible five days and also secured overall victory. 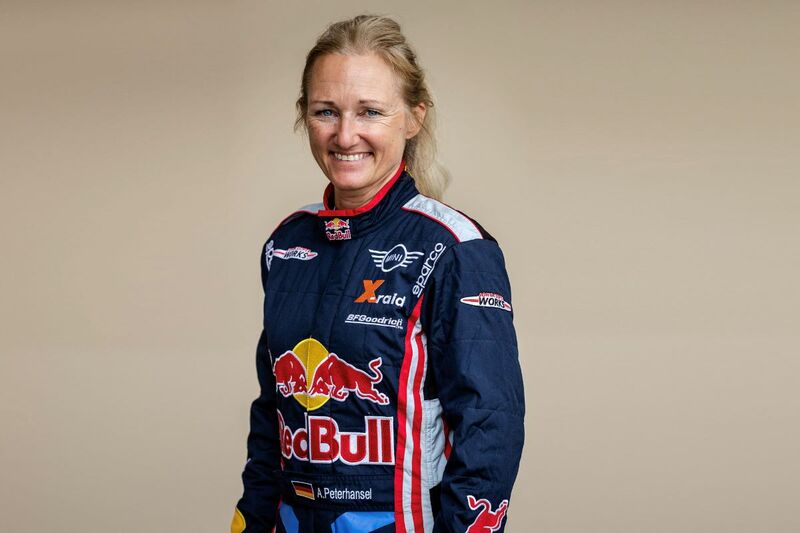 Everyone was intrigued to see how Andrea Peterhansel would fare next to her husband and “Mister Dakar”. However, the couple were among the front-runners from the word go. 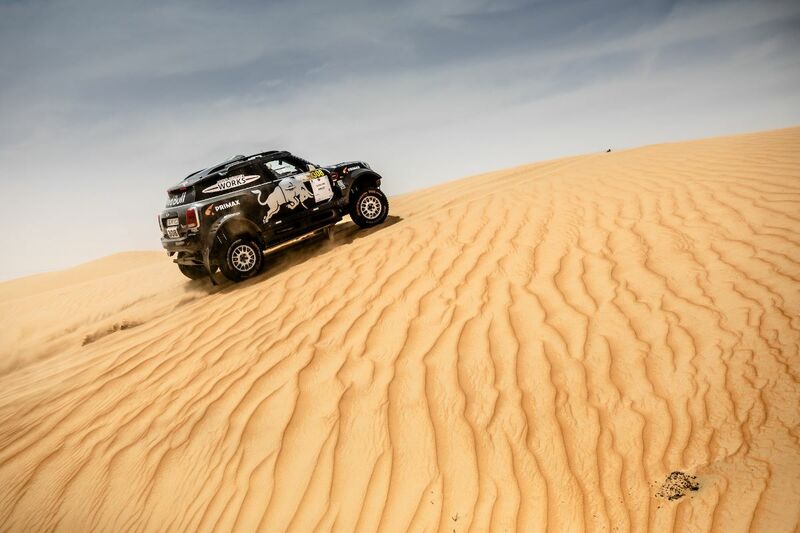 The Peterhansels took the overall lead on day two – a position they refused to surrender until the end of the Abu Dhabi Desert Challenge. 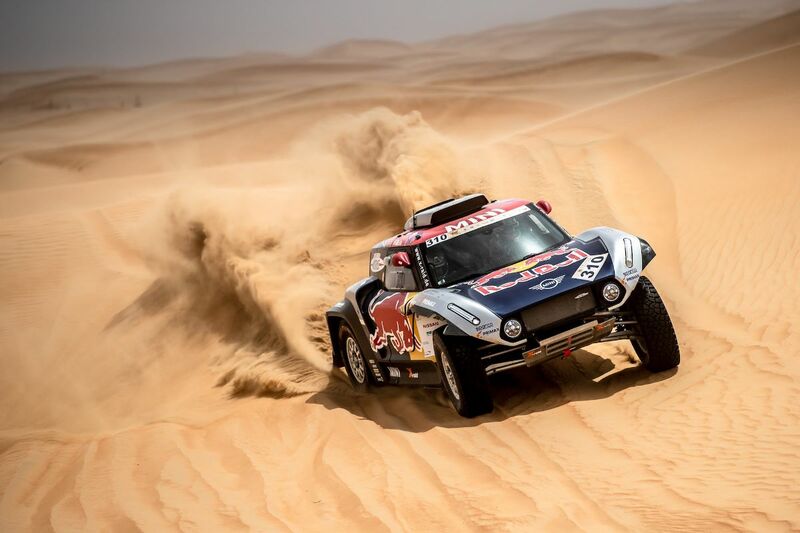 They also won the fourth leg in the Liwa Desert to round off a very successful few days. 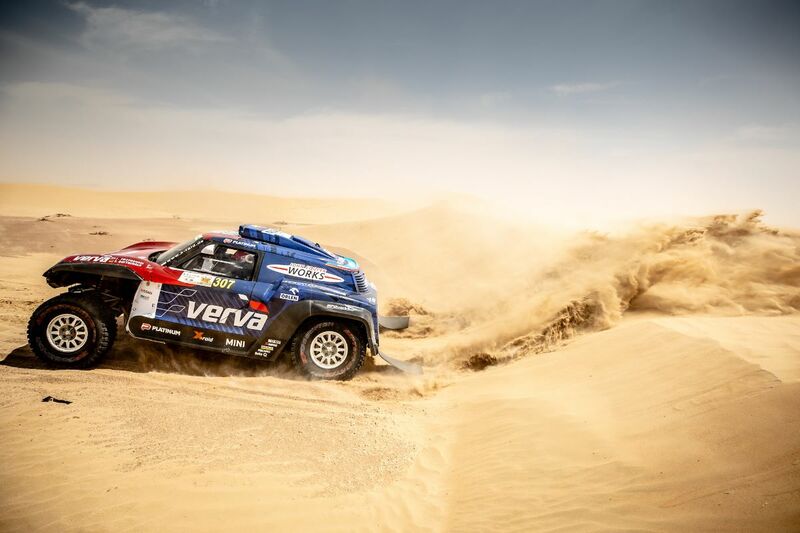 Despres, who was racing alongside Dani Oliveras in Abu Dhabi, got the rally off to a successful start with a stage win on day one. However, the desert showed its teeth on the second leg: It took the crew two and a half hours to free their car, which had buried itself in the sand. Despres and Oliveras enjoyed good results on the remaining days and were able to fight their way back into the top ten. “After taking the win on day one, we were hoping for a good race.”, said Despres. “We had various issues on the second day, which scuppered our chance of finishing on the podium. That is always frustrating, especially as the Buggy was running very well. A number of improvements have been made since the Dakar. Something happened every day. Dani did a very good job and quickly got used to the work in the car. We worked well together. Congratulations to Stéphane and Andrea. 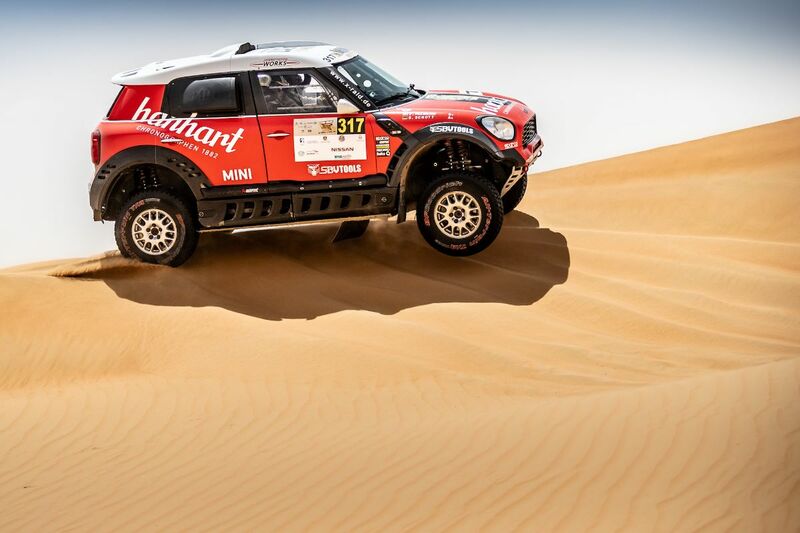 The Abu Dhabi Desert Challenge is Stephan Schott’s favourite rally. However, Lady Luck deserted the German this year. He lost several hours on day two, as he got stuck in the soft sand on more than one occasion. But the German reached the finish every day – in contrast to many competitors, who got themselves high time penalties. Thus Schott and Palmeiro can be happy about an eleventh place. Przygonski and Gottschalk were the victims of great misfortune. 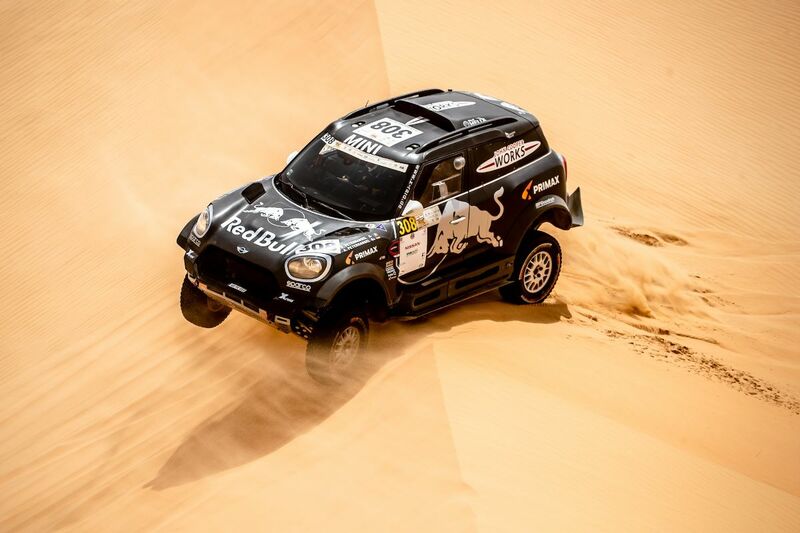 Up until day three, the pair in the MINI JCW Buggy still had their sights set on overall victory. Victory on stage three put them fourth overall, just a few minutes behind the leaders. However, a technical issue stopped them in their tracks at the start of the fourth leg. Przygonski was forced to return to the service park and was consequently given a 100-hour penalty. Determined to show what might have been, the Pole clocked the fastest time of the day for the second time on the fifth and final leg. Since the Turkmen Desert Race was officially cancelled, the next event is the Kazakhstan Cross Country Rally (26.05 – 01.06.2019).